A crazy night in Turin sees Juventus and Cristiano get knocked out in the Champions League quarter-finals after a 3-1 aggregate defeat against a brilliant and young Ajax side. A more difficult pill to swallow here for fans is the fact that Messi and Barcelona are through to the semi finals after thrashing Manchester United 4-0 on aggregate. 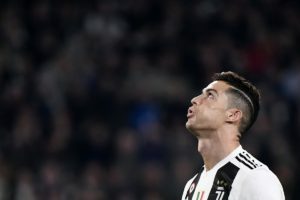 It so seems that Juventus-Ronaldo aren’t meant to be. Ronaldo scored a brilliantly placed header to give Juve the lead but the subpar performance saw them lose out the lead to a fast paced counter attacking Ajax team. Van de Beek scored soon after Ronaldo’s header and De Ligt in the second half tucked home a thumping header to take Ajax through to the semi finals. Juventus are now out of the CL as well as the league cup and the league is their only hope for silverware this season. Ronaldo went to Juventus to win them the Champions League. Neymar went to Paris to win them the Champions League. Anyone know some more good jokes? Ronaldo: I Came to Juve for a new challenge, I Came to win the Champions League. He knew he was joining an 'average' squad when he agreed to leave Real for Juve. I said it when he left Real; Real will miss Ronaldo, and Ronaldo will miss Real. He was no doubt the best player at Real but he always had the support he needed. Quality all around him.